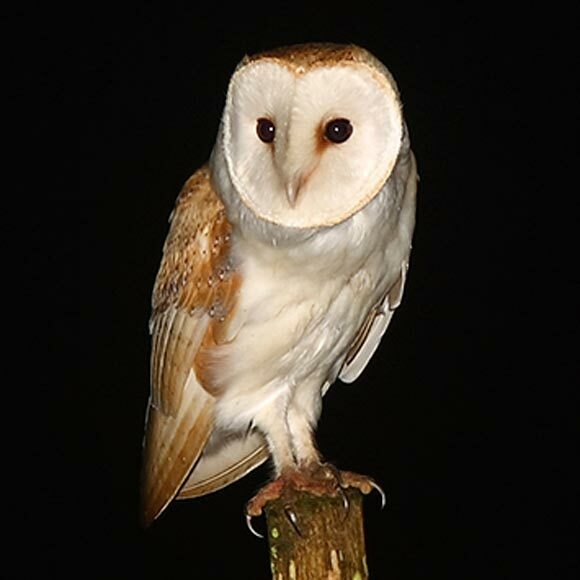 The Barn Owl (Tyto Alba , Scréachóg Reilige) is a medium-sized owl. It hunts by flying low and slowly over an area of open ground, hovering over spots that conceal potential prey. The Barn Owl feeds primarily on small vertebrates, particularly rodents.